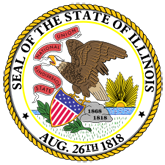 Press Release: The Illinois Department of Transportation (IDOT), the Illinois Secretary of State and AAA today launched the 2015 National Child Passenger Safety Week in Illinois. The annual safety campaign brings attention to the importance of properly securing all children in car seats, booster seats and seat belts. 1. IDOT, Illinois Secretary of State, AAA Launch National Child Safety Week in Illinois (15-0872-IDOT_National_Child_Safety_Week_in_Illinois.pdf).